The NYC CBT Association is a 501c3 organization created to connect mental health providers (e.g., psychologist, psychiatrists, social workers, nurse practitioners), students and trainees interested in behavioral, cognitive, and other evidence-based interventions, located in the New York Metropolitan area, with each other. This group aims to facilitate discussion and to disseminate clinical skills and research among professionals and students. Meetings will be planned to allow for formal and informal exchanges and the development of professional contacts. Particular focus will be placed on the inclusion of professionals from a wide variety of employment settings including private practice, academic institutions, and medical facilities. Throughout the year, NYC CBT facilitate lectures, workshops, and networking opportunities around Manhattan. 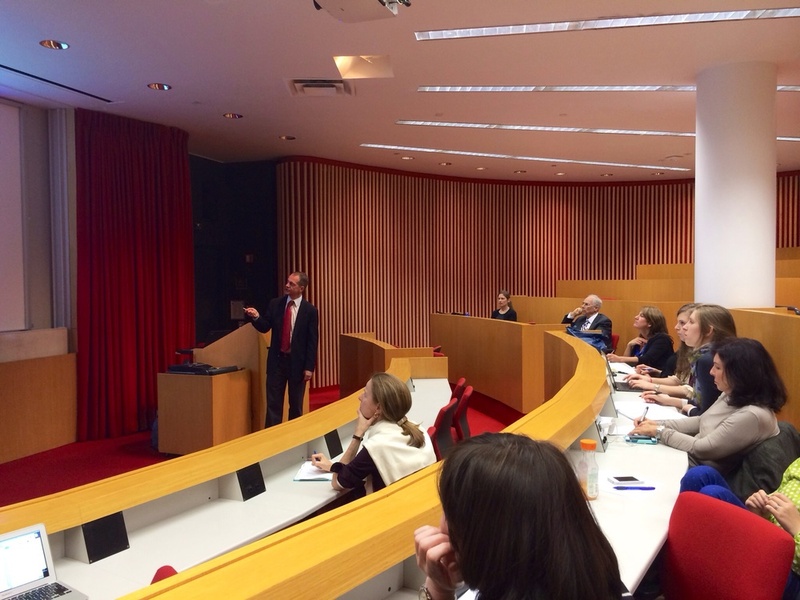 We have facilitated lectures at Weill Cornell Medical College and Albert Einstein Institute. Lectures are facilitated by world leading researchers and clinicians in the areas of anxiety, treatment efficacy, suicidality, grief and specific therapy modalities. I have enjoyed being a member of NYC-CBT for the past seven years and I am proud to now serve as the organization’s president. Cognitive Behavioral Therapy (CBT) has attracted me since early in my clinical training due to its active focus on relieving client suffering, its firm foundation in learning principles, and its aim of providing patients with powerful corrective emotional experiences. Furthermore CBT practitioners have embraced empiricism as a core value. The CBT community has engaged in the use of science for the past fifty-plus years to demonstrate efficacy as well as discover new clinical methods that work best. In recent years, the CBT framework has come to integrate a variety of approaches including traditional Cognitive Therapy and Exposure Therapy, more recent variations such as Schema Therapy, as well as “Third Wave” mindfulness and acceptance-based therapies such as Dialectical Behavior Therapy (DBT), Acceptance and Commitment Therapy (ACT), and Compassion-Focused Therapy (CFT). As president of NYC-CBT I want to welcome practitioners who desire to practice evidence-based psychotherapy and in particular find themselves interested in any or all of the current forms of CBT. Serving as NYC CBT president has been one of the greatest honors of my career! Over my term I have watched our organization grow in many ways. We have added members, we are sponsoring our first full-day workshop, and our newsletter—NYC-CBT News & Updates—now goes out to over a thousand readers. I look forward to continuing to serve in the role of Past-President, and under the capable leadership of our new President, Nathan Thoma, I am confident that NYC-CBT will continue to thrive!